According to the date of the Winter Solstice, the season of cold temperatures, snowflakes, and extra sweatshirts and layers is upon us. If you’re suffering from a broken heater or broken furnace, contact Airforce Heating & Cooling to get it fixed right away! If not, then here are some fun winter facts to keep you warm all through the season. In the northern hemisphere, the first day of the winter season is the day of the year when the Sun is farthest south, normally on December 21st or 22nd. This day is known as the Winter Solstice. A common misconception is that the earth is further from the sun in winter than in summer, but the Earth is actually closest to the sun in December which is winter in the Northern hemisphere. The day of the winter solstice is the shortest day of the year, because the length of time elapsed between sunrise and sunset on this day is a minimum for the year. In the United States, there are only about 9½ hours of daylight on this day. The coldest temperature ever recorded in the world was -128 degrees Celsius, in Vostok Station in Antarctica in 1983. Black ice is extremely dangerous, because this type is difficult if not impossible to see. Black ice usually forms in a very thin, very slippery layer, and usually forms first on structures such as bridges. Much of the damage done by winter storms is not from snow, but from the weight of ice. 4. No Two Snowflakes are alike! 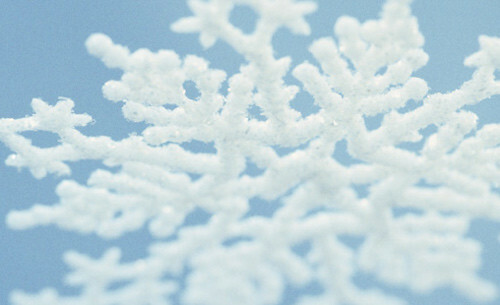 Snowflakes start as ice crystals that freeze around small pieces of dust in the air. 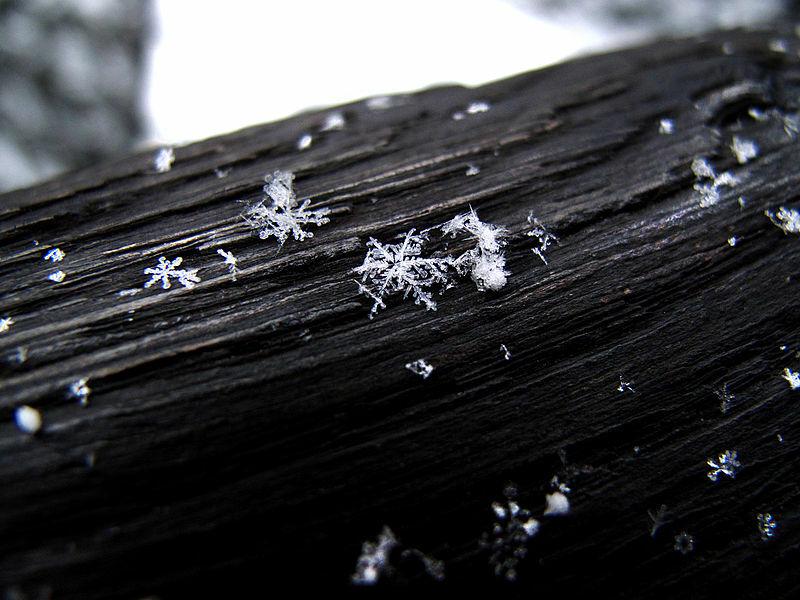 As they fall to the earth, the ice crystals join together to form snow flakes. The shape of each snowflake is determined by temperature, wind, the amount of time it takes to fall to the ground, and the amount of water vapor in the air. It was built to bring attention to the Bethel, Maine area and allow the total community to come together for a project. 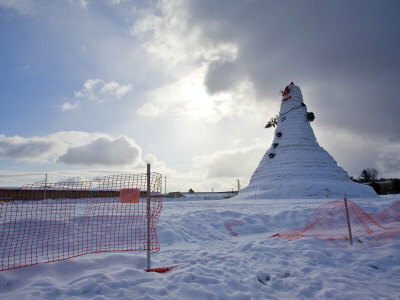 The people of Bethel and the surrounding area worked 5 months to plan and build the 113 foot 7 inch tall snowman which broke the former record held by Yamagata, Japan of 96 feet 7 inches. At 9:30 a.m. on Wednesday, February 17, 1999 the record was officially broken. Two town officials, a regional photographer, a videographer, a licensed professional surveyor and the president of the Bethel Area Chamber of Commerce were on hand to verify the actual size and height for the Guinness Book of World Records. It was so cold that ice was piled 20 feet high along the Delmarva Coast and stayed there until spring. The upper portion of the Chesapeake Bay and the entire Potomac River was frozen solid, allowing people to walk from Annapolis to Kent Island and from Alexandria in to D.C. The all-time world record for the largest snowfall in a single day was set in the United States on December 4, 1913, when Georgetown, Colorado received a staggering 63 inches of snow – more than five feet. The “winter blues” were first diagnosed in 1984. And have recently been named seasonal affective disorder or S.A.D. According to the Mayo Clinic, Seasonal affective disorder (also called SAD) is a type of depression that occurs at the same time every year. If you’re like most people with seasonal affective disorder, your symptoms start in the fall and may continue into the winter months, sapping your energy and making you feel moody. People with chionophobia are simply said to have a fear of snow. One of the largest components to this fear is the idea of becoming snowbound. A forecast calling for a snowstorm can bring on cold sweats, panic attacks, and even an unrealistic feeling of doom and dread. People with chionophobia will rarely venture out into the snow for fear of being stranded as well.